Sitting there in auditorium of Taj Hotel, for some brief moments I found myself transmitted to Her Majesty’s land, good ol’ England. The Oxford University had organized an event in the city, wherein you had prominent Englishman talking on everything in general and nothing in particular. I have always admired the English wit and humour, and it is with a profound sadness that I see the coming extinction of it (the Americanization of British culture). Starting from the chivalrous knights on Arthur’s round table, to profoundly sarcistic Shaw to the rather eccentric Sir Branson, Englishmen have always stood out as a race. What impresses me the most, is the English art of subtely poking fun at every one, including themselves. So, when I saw all those English gents talking in humorous phrases, I was really enjoying myself. It was here that I bumped into Lord Chris Patten. I remember as a youngster, seeing those images on television of Hong Kong being handed over to China. The whole ceremony wherein the Union Jack was lowered and the Chinese flag was unfurled. In some ways the whole ceremony reminded me of India’s independence from Great Britain. I imagined how it would have been some 30 odd years before I was even born. 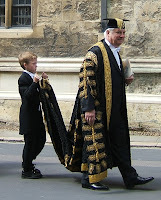 Lord Patten reminded me of the immensely famous Lord Mountbatten, the last English Governor General of India. 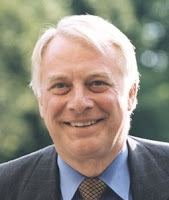 Thus in some strange ways, India does indeed connect to Lord Patten (one of the ways is through films as well, his daughter played a central character in the hit Indian movie Rang De Basanti). At the conference, I was able to wean Lord Patten away for a few precious moments and posed a few questions. His respones were characteristically English, namely, candid and witty. The best way is to judge it yourself, so read on. Sir Humphrey Appleby: Bernard, Ministers should never know more than they need to know. Then they can’t tell anyone. Like secret agents, they could be captured and tortured. Bernard Woolley: You mean by terrorists? Sir Humphrey Appleby: By the BBC, Bernard. Fortunately, neither did Lord Christopher Francis Patten, Baron Patten of Barnes, need to be captured or either tortured for him to be candid and frank. And more importantly, the liberal Tory isn’t in the government anymore; he is a chancellor with the Oxford University, and thus allowed a certain amount of leeway. Lord Patten is more renowned for the assignment in took up in the late nineties, as the last colonial governor of Hong Kong. After a stint as a EU minister, Patten settled down in the academic environs of Oxford (currently, he is one of the contenders for the BBC top post). Yet, in spite of all his engagements, Patten finds time out for things he seems to like the most, namely writing. He has released books like: Not Quite the Diplomat; Cousins and Strangers: America, Britain, and Europe in a New Century; Tory Case and co-authored and contributed to other books like 50 Remarkable Years – the New Elizabethan Age; 150 Years of Cricket in Hong Kong. Patten had recently come down to India for the Oxford India Business Forum and regaled the audience with his wit and humor. He refers to self as a historian and thus has a lot to share on India and its ‘spectacular’ journey so far. This is just what he did with Shashwat Chaturvedi from CyberMedia News. By the way, he also has an interesting connection with India, more appropriately Indian cinema, as his youngest daughter (Alice Patten) was the leading lady of the Bollywood hit, Range De Basanti. Excerpts. There is a feeling among many in India has just become a low value destination for measly jobs. That it is a case of new imperialism, this time it is money instead of ammunition. That is surely not a correct observation. Over the years, Indian economy has grown in ways that had not been imagined. Today, the nation is renowned for its IT strength. In many ways, India has become a global back office. That does not mean dealing with low value added occupations only, a lot of high value jobs are being shifted to India and being done out of India. That is something to be pleased about not to be criticized. The challenge for India, as I see it, is to develop the manufacturing, food processing and agriculture, in the same ways it has done with IT, telecommunications and so on. And there is no reason, intellectually, why India should not be just as successful in those areas, just as it has been successful in the services industry. Isn’t shift of jobs a big concern for people in the western countries like the U.K. and the U.S. There have been so many reports of backlash and hostility on the issue. Your views. You have voiced you support to India vis-à-vis China, due to the democratic institutions in place in India. How do you think the future will pan out? The world should want both India and China to be a success. The point I make, is that you cannot see economic and social development without making political adjustment and if you open up the economy it is increasingly difficult for you to keep an iron grip on politics. As India has a political system that increasingly incorporates what is happening economically, it is better placed. China, sooner or later, will have to change its political system in order to bring it in line with the economic development. The question is whether it can do that without sacrificing stability. You stated that the ‘world is not flat’, what makes you say so? There is an implication and many people who must have read that book must have taken this message that technology has made us all equals. But it hasn’t. There are terrible mountains that poor people and poor countries have to climb and I don’t think it is enough to say that information technology revolution, even though it has made problems more solvable, but haven’t actually solved them. I mentioned about traveling to the incredibly impressive Infosys campus in Bangalore on the way you notice evidence to the fact that the world is not actually flat, you see very poor people and you travel on very poor infrastructure. I think we have a very long way to go before we can truly claim that the world is really flat. And it never will be entirely, though I wish we were doing more to decrease global inequity in wealth and opportunities.